This week I have discovered a house so beautiful that I have fallen in love with it in an instant! 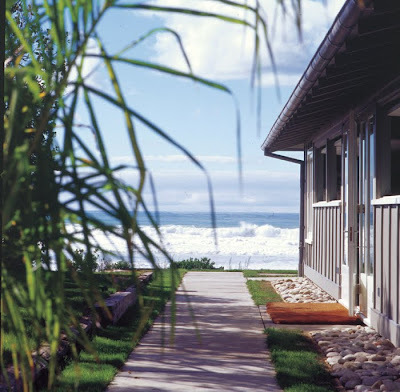 It is a beach house available for holiday lettings in New Zealand. Can you see why I feel this way? Looking at these pictures, I just can't fault it. I will have to let my husband know the bad news. I have to go there. Soon. I can absolutely see why your head over...gorgeous...just gorgeous! The high ceilings are beautiful, and those wonderful white armchairs. Hope your husband isn't too much under pressure! OMG, the ceiling in that living room!. when u pick them, u pick em....all gorgeous rooms... I hope hubby is sitting when u tell him u want to go there.. At least u aren't wanting him to buy it for you. I am enjoying a cold Winter morning with a cup of coffee and blog search. Just happened across your wonderful little corner of the Internet. I hope your hubby can take you to this special place! Mine would just laugh. Love this place. Wish I was there right now! so amazing. i wanna go! im obsessed with the beach and that house is to die for! Very serene and quiet looking. I think I need to go there too! Oh such an amazing... place!! Feels like home away from home!! If ever in NZ.. I'll stay here for sure! Looks amazing :) My husband's sister lives in NZ with her family, what a blessed land! Again, you are making me long for the beach! Great house, too. 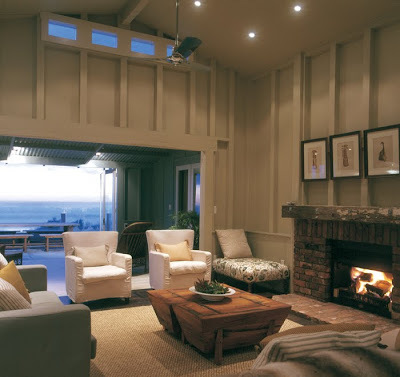 this home echos the outdoor surroundings perfectly..calm, clean and simple. i love the table with towels folded nearby.. I can see why you want to go there...this is a beautiful home. I love the views...and that kitchen...WOW! Ooh, I love that kitchen. It would be a dream to stay there! I was here admiring your new love..
it is so cold and snowy here IN DENVER! come visit any time..tea's on! Oh that first photo just about did it for me. love, love, love this! Hope you're feeling better dear! That is a beautiful house. I'm sure your husband will love visiting too :-) I'm sorry about your friend, I just read the post. I stumbled upon you blog by chance. I love it! When I feel this strongly about a blog on first visit, I want to ask for a link exchange. I don't want to lose the connection!. If you have an interest in exchanging blog following links I would love to do so! Please stop by at Psyche Connections when you are in the neighborhood! What a house ! Hope everything is ok . I wonder if it's on a secluded piece of beach...because that would make it P E R F E C T....!! How refreshing and open. I love it! Beautiful. Love the kitchen and the view! Love, love the covered porch. I could see myself spending all day(s) there. Oh-la-la what a beautiful cottage on the see! I love this place too. Ah yes...I too fell in love with this when it appeared in New Zealand Life and Leisure magazine. 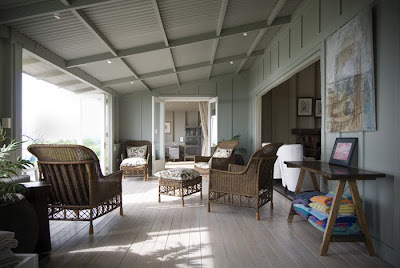 Andy Coltart is an inspired designer, have a look at blackbarn.co.nz at their properties to let to see more of his stunning work. I've always hoped when I get to design my own home that I can have him on board. oh silly me... I just realised you linked it from there! Just wanted to drop by and say thanks for visiting my little blog! 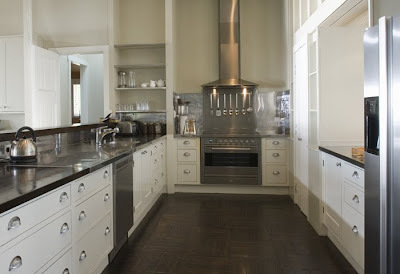 Also, I know I am a little late with my comment - but I just have to mention how much I LOVE the kitchen in this post... I have been trying to get all my cut out/ideas-file laid out onto a large piece of cardboard in order to define the style I am aiming for with my home / specifically my kitchen and well this picture just seems to sum up the look I am aiming for - as to how close I might get to it with our finished kitchen - well I guess we'll have to wait and see :o) there's still a long way to go yet for us! I had a look at the photo above. This is quite a collection. I am sure my wife is going to fall in love with all the design & layout if she see visit this site. What a magnificent home, it has similarities of the beach house shown in the movies Somethings Gotta Give. Can't wait to hear all about when you return. Hope all is well. we have gone there three times over the last few years, and yes this rustic charm of hamptons meets lodge makes you feel very carm.